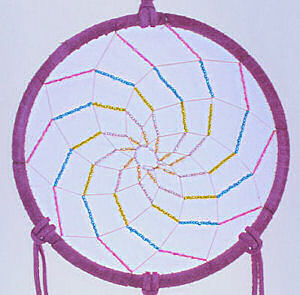 This dream catcher features a spiral weave pattern and uses hundreds of tiny glass seed beads in the web. 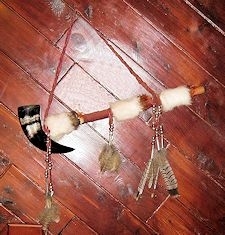 The hoop is six inches in diameter and wrapped with hot pink deerskin leather. It has fluffy hot pink and black marabou feathers on the fringes. Overall length is about 16 inches, not counting the 5" hanger loop.